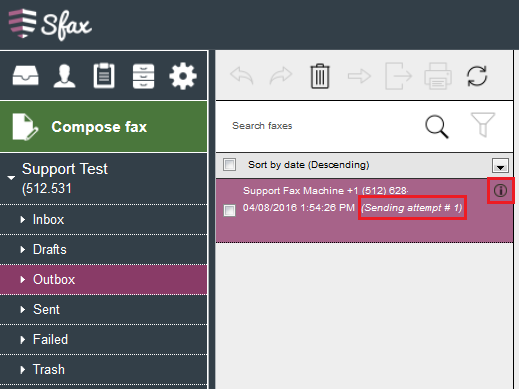 When you send a fax to multiple recipients you will now see a separate entry for each recipient in the outbox folder. Fax being sent to multiple recipient in the Compose fax screen as shown below. When you look at the Outbox folder, you will see a separate entry for each recipient. As you can see for the above recipients they are listed separately as shown below. You are now able to view the fax image that is being sent in your Outbox folder. You will need to select the fax and click the Up/Down arrow in the navigation window to view the pages of your fax. 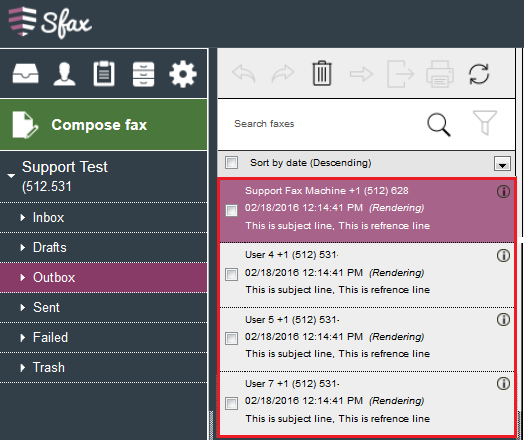 You are now able to view the status of your faxes in the Outbox folder. Which will allow you to see the number of attempts already made or waiting for retry. There are 2 options where you can view the status of your fax. 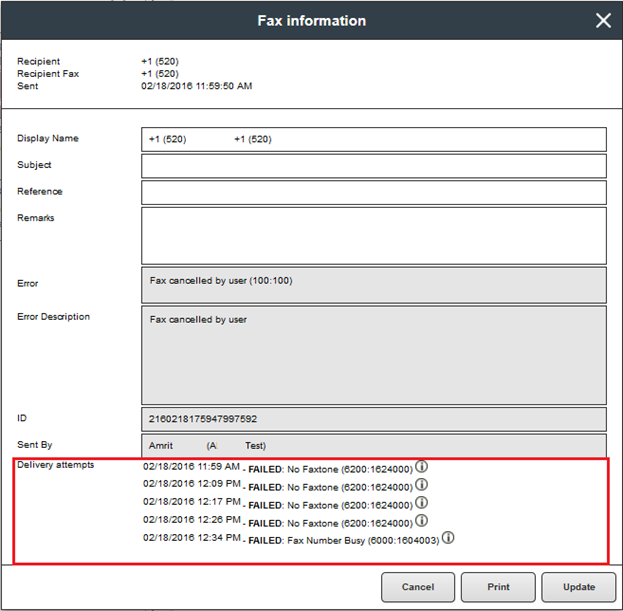 In the Outbox folder select the fax in the middle column and you will see information in parentheses such as Rendering, Queued, or Sending attempt #X as shown in the image below. If you click the black information icon in the middle column during the faxing process, one of the following message will be displayed. After you have selected your fax in the middle column in Option 1, click on the blue information icon in the upper right hand side. The Fax information window will open and in the Delivery attempts section fax attempts will be listed.